This post has already been read 433 times! LINCOLN – University of Nebraska students, faculty, staff and recent alumni hold positive views about the safety, civility and overall climate of the NU campuses, according to the results of a broad survey conducted this year by leading polling firm Gallup. 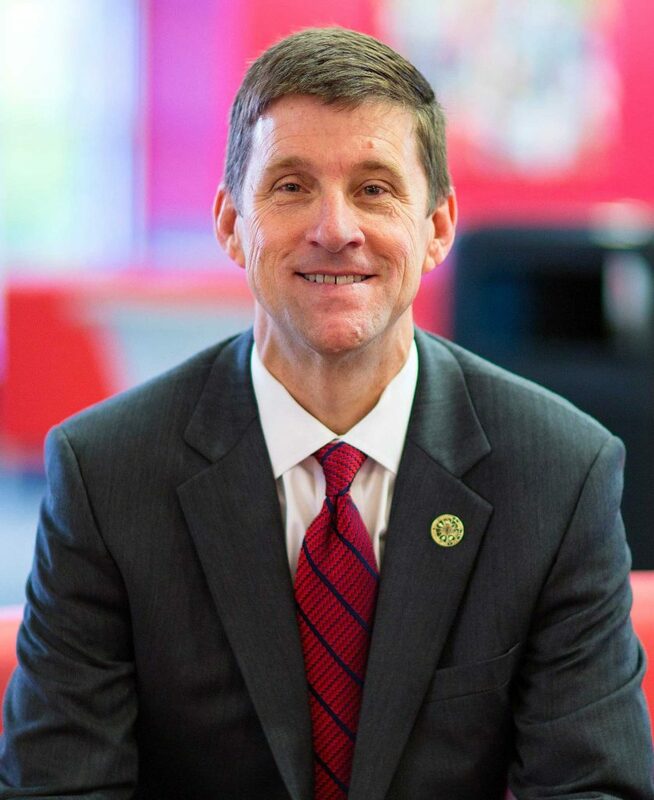 Survey responses of members of the university community also point to meaningful opportunities for improvement that will inform campus-led plans for moving forward, President Hank Bounds said today. Gallup’s executive summary and full report are both available online. In sharing the results with university stakeholders, Bounds thanked the thousands of students, faculty, staff and alumni who took time to offer candid assessments on how NU is managing critical issues related to climate, free speech and inclusiveness. Their responses, according to Gallup, indicate the University of Nebraska compares well in the national landscape as colleges and universities across the country weigh similar issues. “The purpose of any university is to create spaces where different people and different ideas collide. We want all members of the University of Nebraska community to have a rich educational experience where they’re challenged to stretch and broaden their thinking,” Bounds said. “In that respect, the chancellors and I are pleased to see that the university is doing many things well. We’re not perfect – nor would that be possible with a student body of 53,000 representing every U.S. state and more than 100 countries. Bounds said next steps will be developed and implemented by the students, faculty and staff of each individual campus. Campus plans may include focus groups, discussions or other efforts that build on good work already being done to advance openness and inclusiveness across the university. The Gallup survey, administered electronically to faculty, staff and students in April and recent alumni in May, covered a range of issues related to campus climate and free expression. More than 4,400 students, 1,800 faculty, 3,600 staff members and 2,800 alumni completed the survey. Nearly all students and alumni who lived in residence halls said they felt safe in those halls. Most faculty and staff reported feeling safe walking alone on campus and being in academic buildings at night. Majorities of students, faculty, staff and alumni agreed or strongly agreed their campus is committed to promoting freedom of expression. Two-thirds of students and three-fourths of alumni said students and faculty respect free speech rights. Majorities from each group surveyed said that members of 15 subgroups (by gender, race/ethnicity, etc.) are able to freely and openly express their views on campus. Majorities of students, faculty, staff and alumni agreed or strongly agreed their institution is committed to ensuring an inclusive environment. One-third of students reported having felt uncomfortable because of something someone said about race, ethnicity, gender or religion. Students were far more likely than not to say they feel comfortable having meaningful conversations with other students who hold different views on issues related to sexual orientation, religion, immigration, race and ethnicity, or political ideology. Strong majorities of students, alumni, faculty and staff members agreed or strongly agreed that they have had many opportunities to learn from others with different perspectives or backgrounds. Half of students reported never or rarely having had a conversation with someone with whom they disagreed that led them to change their mind on an issue. One-third of students reported never or rarely seeking relationships with others who might challenge their understanding of the world. Faculty and staff agree their leadership is creating a future they want to be a part of, and two-thirds said they would recommend their campus as a great place to work. They also expressed a desire for more clarity about the future direction of the university.